My blog this week looked at effective innovation and how this was increased by using the power of marketing. There is a strong correlation between successful product launches, where marketing and technical development goes hand in hand. When promotion is bolted on the end, the innovative usually fails. But there are always exceptions to rules, like I found out in the mid-80’s with research-based marketing for fax machines. Alexander Bain patented fax machines in 1843 as the electric printing telegraph. From its name a me-too product on invention, as it would seem competing against the telegraph. There were various technical developments over the following years such as signature facsimiles. This made it big in Japan where it was far easier to draw one of the 10,000 or so common kanji characters. But it was not until the 1980’s that worldwide, it became a hot innovative product demanded by business. The reason was changes in needs, wants and demand. In the 1980’s the world was getting faster as technology was delivering more in real-time. The biggest need was in communication as barriers to global trade declined and the costs to do so also dropped. The big alternative to sending written words were either by post or telex. Mail was taking longer to deliver and telex required an operator. 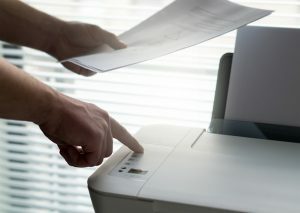 Fax tapped into the real need for anyone to be able to write or draw a fax and send it easily and quickly. Its growth as a tool of individual communication was in parallel to the growth of cellular phones. Doing qualitative research with end-users and dealers, it was clear that fax was an easy to use product, seen to be essential as a mark of being in business at a very affordable price. Later developments would bundle up the fax with the printer and photocopier/scanner as the complete business start-up package. Fax took 140 years to experience significant demand and 20 years to reach the end of its innovative life. Other technology now meets the need for individual on-demand communication with those handheld digital cameras and computers, we used to call phones in the noughties.